Size of this preview: 487 × 599 pixels. Other resolutions: 195 × 240 pixels | 390 × 480 pixels | 487 × 600 pixels | 624 × 768 pixels | 832 × 1,024 pixels | 3,900 × 4,800 pixels. 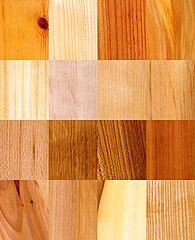 This image has been assessed under the valued image criteria and is considered the most valued image on Commons within the scope: Wood samples (Scandinavia). You can see its nomination here. This page was last edited on 18 April 2019, at 16:06.